As a senior, your quality of life benefits from superior health care, delivered by a physician who is enthusiastic about treating mature patients and keeping them feeling young and vital. 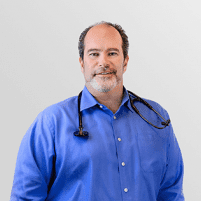 In California’s San Ramon Valley, Dr. Michael Temkin is your obvious choice. A seasoned internist, Dr. Temkin provides quality care while helping you navigate the managed health care world. Call or click today to make an appointment. What are the biggest health care challenges seniors face today? The Centers for Disease Control and Prevention predict that when you reach age 65, you have nearly 20 more years of life, on average. Americans are living longer than ever and doing so in better health. That doesn’t mean you’ll be free of illness. Your body remains prone to wear and tear, and aging is a risk factor for many conditions. Fortunately, many are manageable, and new treatment strategies emerge regularly. Arthritis is likely the most common problem facing the seniors’ demographic — particularly osteoarthritis, which develops from a lifetime of wear on your joints but which benefits from continued activity, even as the pain and stiffness tend to make sufferers more sedentary. Staying active along with treatment and pain management is the key to coping with arthritis. Heart disease can develop on its own or as a complication of other conditions, such as high blood pressure, high cholesterol, or diabetes. It’s the leading killer of people over 65. A healthy diet, maintaining an ideal body weight, quitting smoking, and staying active are the best strategies you can follow to avoid heart attack and stroke. What are some of the less common health issues seniors face? Mental health issues in older people can be something of a silent problem; up to one in five seniors experience them. Depression isn’t strictly a mental health problem, either, because it can suppress your immune system, putting you more at risk of infectious diseases, which in turn can take a greater toll on an aging body. Staying active is a solid strategy to avoid depression, and if you do need care, Dr. Temkin is an ideal first point of contact for treatment. Many people tend to think of vaccinations as a child’s health care concern, but several vaccines address health issues faced by those over 65. In particular, vaccines against influenza, pneumonia, shingles, and whooping cough can help you avoid illness that’s tough on an older body. Can I get help with Medicare and health insurance questions? Dr. Temkin accepts Medicare and his team can help you navigate all of the practical aspects of Medicare, managed health care, and insurance options, particularly with regards to John Muir managed health care plans. Dr. Temkin can also point you to trusted health care information resources should you have any questions.